Archimedes of Syracuse has entered the history of science as a great mathematician and inventor, his work still influencing modern life. His studies included studying the mathematics behind pulleys and levers, and his work on the properties of solids earns him a place alongside. The scattered records paint the thinker as an enigmatic genius, famous for his Eureka moment or for the legendary siege machines with which he helped to defend his home city of Syracuse. However, his greatest invention is perhaps one of the most understated, a device that does not carry the notoriety of running down the street naked or destroying Roman galleys in a burst of flame. This invention is the Archimedes Screw, a device still used around the world as a simple and efficient method of moving liquids and solid particles. 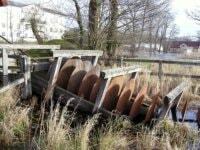 From sewage plants and pumping stations, to grain silos and cement factories, the Archimedes screw is indispensible. 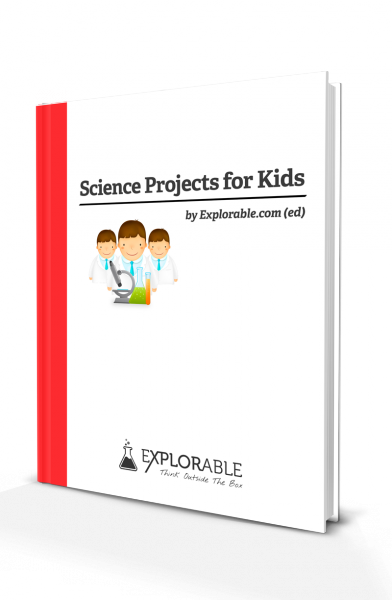 Here, we will show you how to make an Archimedes Screw for a science fair project. According to the historical documents, the King of Syracuse asked Archimedes to build a huge and luxurious ship, designed to display the power and majesty of his hometown. Archimedes, with his sophisticated understanding of the principles of buoyancy, duly complied but his design was not without problems. The main concern was that the ship was leaky and took on huge amounts of water, threatening the seaworthiness of the vessel. Applying his creativity and knowledge to the problem, Archimedes came up with the screw, a device that is elegant in its simplicity. The screw, operable by a single person, was the perfect way to pump water from the bilge and the device soon became common in agriculture for pumping irrigation water up a gradient. Since then, it has found many other applications, with many historians arguing that this device led to the development of the augured drill bit, an integral part of any constructor's tool kit. The Archimedes Screw is a positive displacement pump, which takes fluid from a source and forces it to another location, where it is discharged. The pump consists of an auger (helix) contained within a tight fitting cylinder, and the blades of the helix create individual pockets between the auger and the wall of the cylinder. One end of the device sits in a pool of fluid or particles and turning the handle to rotate the screw scoops up a small amount of fluid. As the screw rotates further, this fluid is transferred to the next pocket while the screw scoops up more fluid from the source. Eventually, this creates an almost uninterrupted discharge of fluid at the other end. Clear plastic flexible tubing - this should be about 2 cm / ¾" outer diameter and 1.25 cm / ½" inner diameter, although it does not matter if it is a little wider or narrower. You can find this in a hardware store or aquarium store. Take your tubing and, using waterproof tape, secure it to one end of the PVC pipe, making sure that about 1.25cm / ½" hangs over the end. Wrap the flexible tubing around the pipe, leaving about 2½cm / 1" between intervals, until you reach the end of the PVC pipe. Of course, this is a simple device, and you can fit handles or use a large auger drill bit in a tight fitting cylindrical sheath. This is only the start, and you can experiment with larger diameter tubes or look at the mathematics underpinning the device. 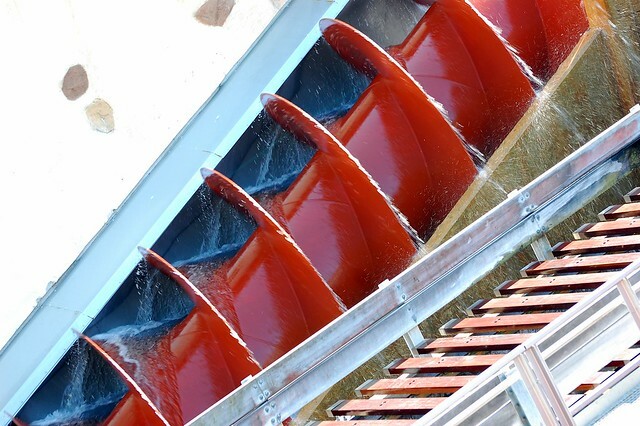 The legacy of the Archimedes Screw lives on and many engineers are starting to explore the possibility of using a reversed screw to generate hydroelectricity, in a wonderful twist on an old design.